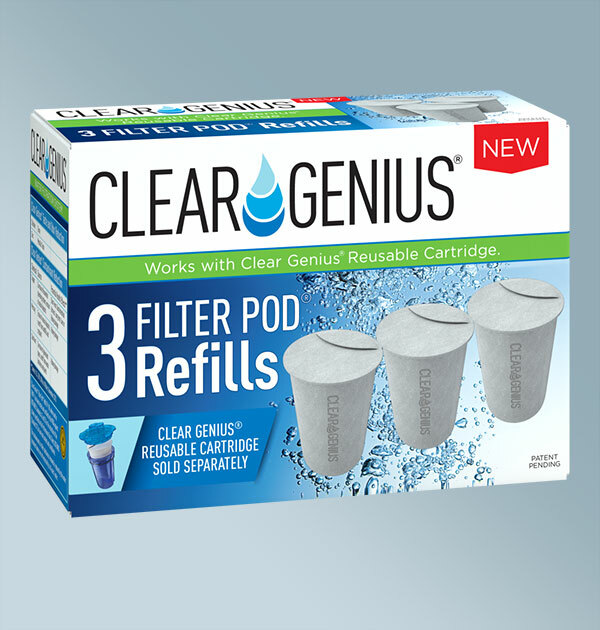 Works with Clear Genius® Reusable Cartridge – sold separately. NO PRESOAKING Required. CONTAMINANT REDUCTION: Chlorine (Taste and odor), Zinc (Metallic taste), Copper, Mercury, Cadmium. CONTENTS: 3-Filter Pod® Refills. 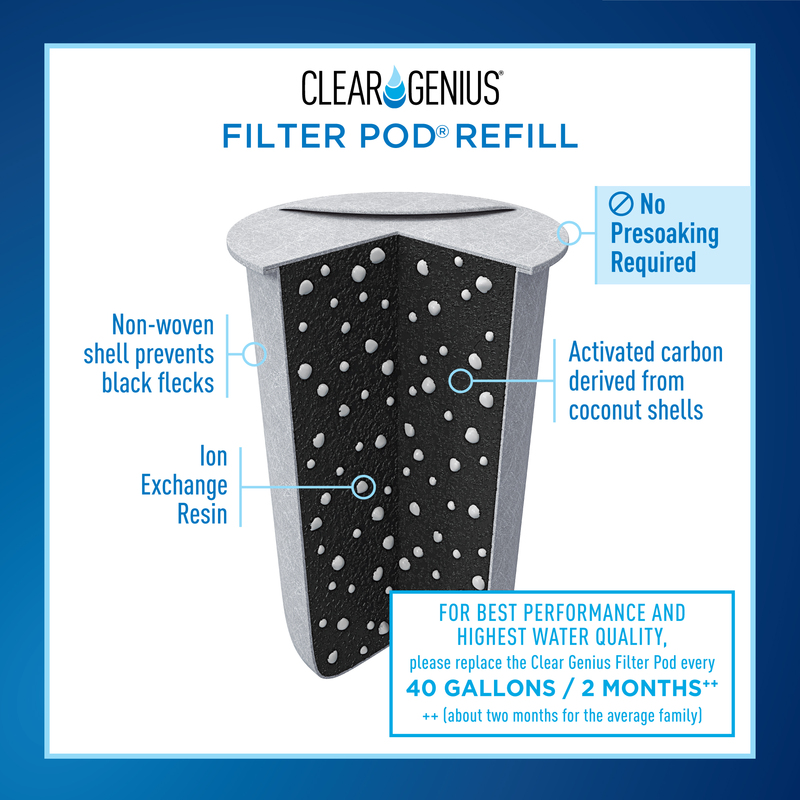 Each Filter Pod filters 40 gallons of water – the equivalent of 300 (16.9 oz.) containers of bottled water. Certified by the Water Quality Association. 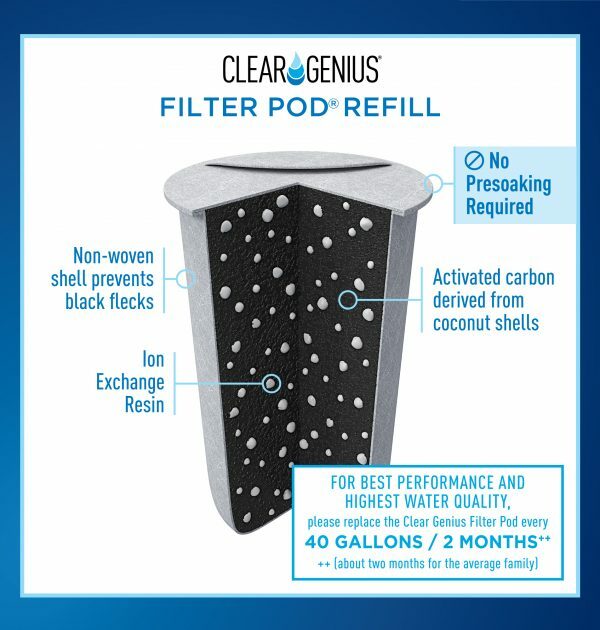 Each Filter Pod® contains very high quality activated carbon derived from coconut shells blended with ion exchange resin. 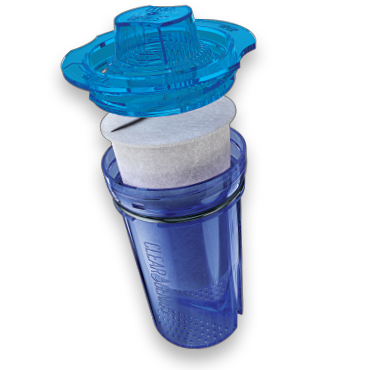 3-Filter Pod® Refills will filter 120-gallons of water. BPA-free. 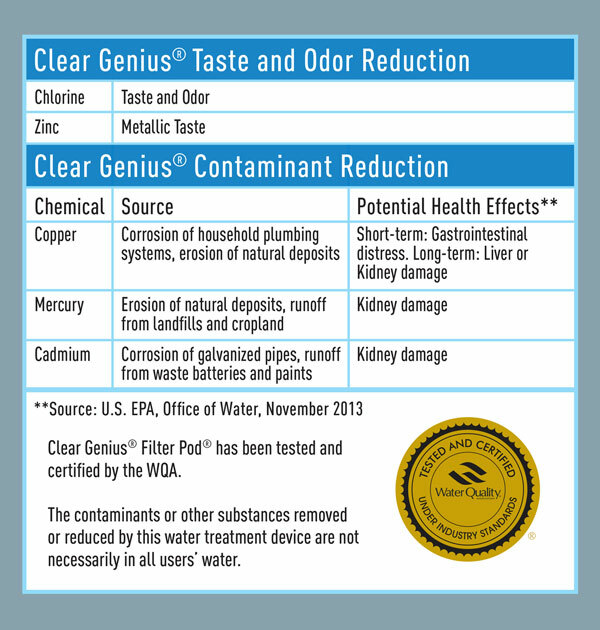 WHY CLEAR GENIUS®? 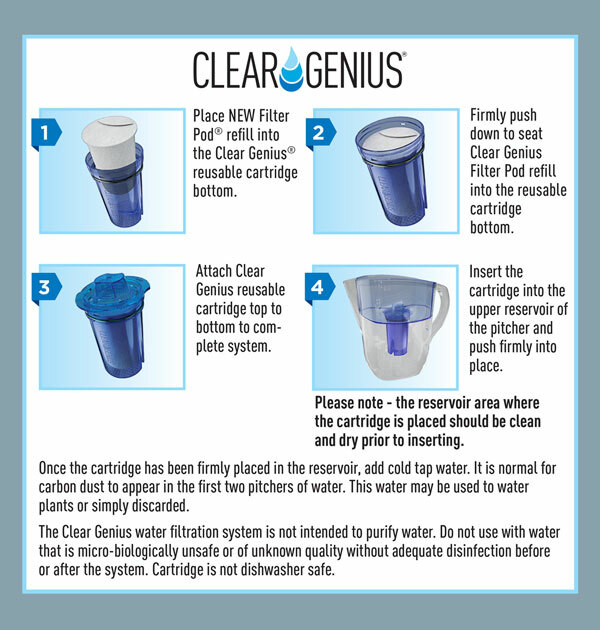 Clear Genius is a reusable water filtration system that fits Brita®* and Clear Genius and water pitchers. 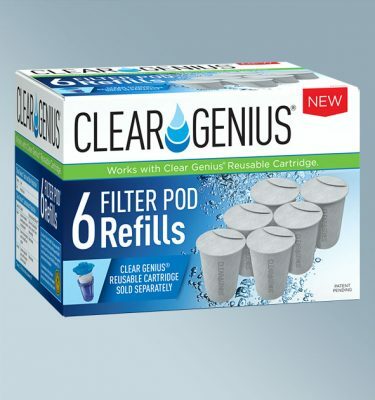 Clear Genius reusable cartridges drastically reduce the waste created by discarding disposable plastic filters. 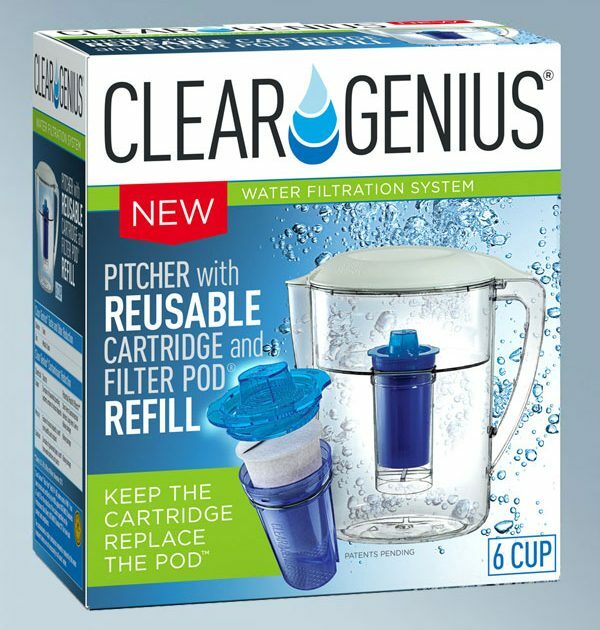 Clear Genius provides those who currently use Brita* and Clear Genius water pitchers a better way to filter water, allowing you to achieve a more environmentally conscious and cost effective result. HOW IT WORKS. 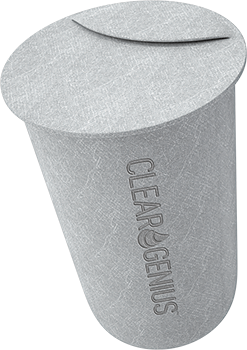 Clear Genius water filtration system turns tap water into healthy, great tasting drinking water. Tap water is filtered through a blend of activated carbon and ion exchange resin, all contained within a non-woven shell which also serves as a filtration element to prevent black flecks. I have to admit I was skeptical at first, particularly since the filter pod doesn't fit quite the same as the Brita filter does. But it works better than the Brita filter...the water tastes better. And even better than that is the environmental advantage of using the biodegradable filter. I will definitely buy these again. So much better than throwing away all that plastic! Quality, service and good deal. It works as described and I am happy with my purchase. is a registered trademark of Helen of Troy. Clear Genius® is not affiliated with these brands.